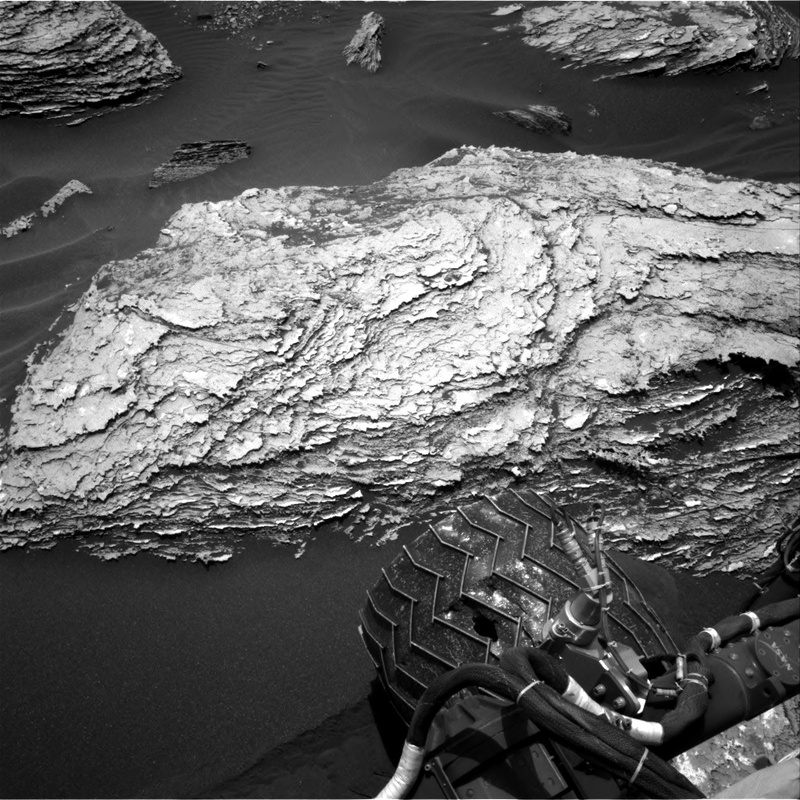 The weekend drive stopped a little bit short of the target, but that’s ok because it put the rover in reach of some interesting cross-bedded rocks. We decided to do a “touch and go” plan for Sol 1691, quickly analyzing the rocks in front of us and then continuing on to the original drive destination. The plan starts off with MAHLI observations of the targets “Ike’s Point” and “King’s Point”. ChemCam will then analyze the target “Green Nubble” and Mastcam will take a documentation image of the same target. Mastcam will also document the auto-targeted ChemCam observation from the weekend plan and take a few frames to connect the workspace and drive direction images. Finally, Mastcam has a small mosaic of “Androscoggin River”. After that, the rover will do a short drive followed by post-drive imaging, an auto-targeted ChemCam observation, and a MARDI image of the ground under our wheels. In the morning of Sol 1692 Mastcam will make its first of three attempts at imaging Mars’ moon Phobos passing in front of the sun, which allows us to refine our understanding of its orbit. The Phobos transit observation will be followed by Mastcam and Navcam observations to measure dust in the atmosphere, as well as a couple of Navcam movies to look for clouds.